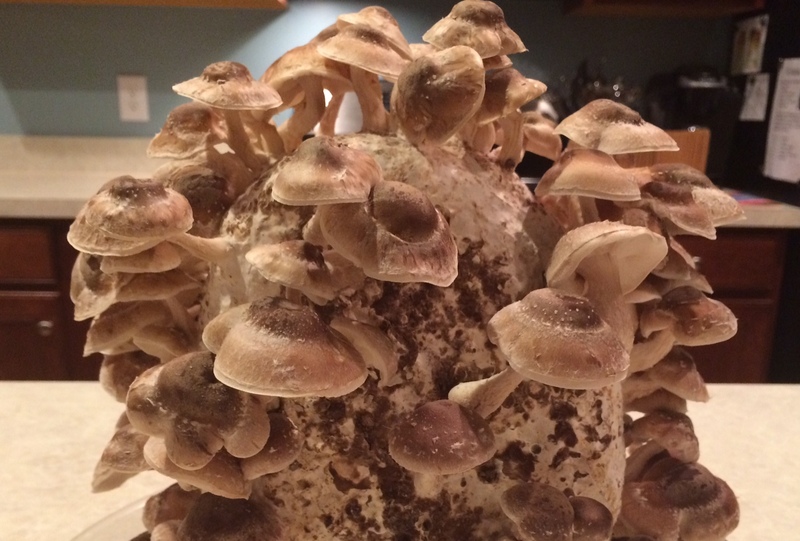 Oh sure, we can call it my shiitake block from 100th Monkey Mushroom Farm, but fresh, delicious umami in progress is what it really is and it is a bumper crop this time! This entry was posted in Indoor growing, Mushrooms, Organic, Shiitake, Shiitake Mushrooms. Bookmark the permalink.